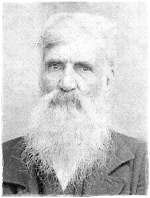 Robert Melton entered a 640 acre Land Grant located North of Haw River below red field at the Great Falls and above the mouth of Second Branch. Robert Patterson and John Collins were chain carriers. Warrant issued 14 May 1757 and surveyed 25 Oct 1759. The warrant was deeded to his heir Nathan Melton and he received 391 acres of the original entry on Jul 30, 1760. Joseph Walker received a 468 acre Land Grant located North of Haw River. Robt. Melton and Nathan Melton were chain carriers. Surveyed 2 Apr 1756. I give, devise, and dispose of the same in the following manner and form. . .
And likewise I constitute, make, and ordain my son, Nathan Melton, my only and sole executor of this my last Will and Testament of all and singular the lands, messuages, and tenements by him and therefore mentioned freely to be possessed and enjoyed by them, their heirs, and assigns for ever and I do hereby utterly disallow, revoke, and disannul all and every other former Will legacys and Executions by me in any way made before this time; named, willed, bequeathed, ratified and confirmed this and no other to be my last Will and testament. In witness whereof I have hereunto set my hand and seal the day and year above written. Will of Robert Melton, dec`d. exhibited by Nathan Melton was proven by Richard Parker. Other witnesses James Sellers and Mary Stratton to be summoned to appear next Superior Court. Mourning Milton, daughter of Robert Milton, dec`d. to be committed to the care of Mr. Robert Cate, Jr. Bond set at $50 L for Bondsman Thomas Cate. [S19] Moore County, NC FamilyTreeDNA Group Project [http://www.familytreedna.com/public/MooreCountyNC/]. Steve Melton, a sixth great-grandson of Robert Melton [b. VA - d. 1759 Orange County, NC], recently tested 37 markers. Steve further descends from Robert via Ancel Melton [c1740 Orange County, NC - 1800/1810 Moore County, NC] > James Melton > Robert Melton > James Melton > Eli Melton > Stephen Melton [Steve's grandfather]. His Y-DNA matched several Melton descendants with origins in North Carolina, South Carolina and Tennessee likely confirming oral history of Robert Melton's descendants migrating throughout the southeast to South Carolina, Georgia, Tennessee and Alabama.